Anyone with basic knowledge of computer can generate invoices for you and your business so it doesn’t need to hire high paying man power for it. 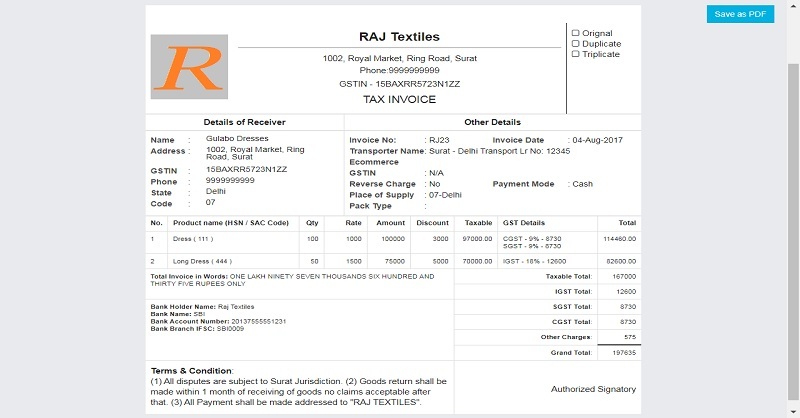 Here is an outline of how easily one can generate an Invoice. 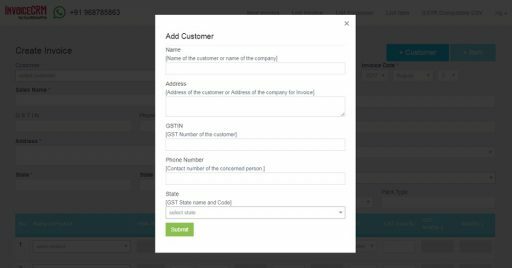 Add customer’s details (Name, Address, GST Number) in an very simple and easy to use “Add Customer” interface. Insert invoice item details (Product Name, HSN / SAC CodeCode, Applicable GST Rate of CGST, SGST or IGST). Select the customer, insert the invoice item and then add the quantity and rate for the item, select place of delivery and your Invoice is ready. Download Invoice in a PDF. Here is a Sample PDF. The magic isn’t in the simplified invoicing. The real magic happens where you can export the GST invoice data which can be uploaded to GST Portal effortlessly. Download the file with one click. You can upload this exact .csv after converting it to .json file in offline utility provided by GST Portal. 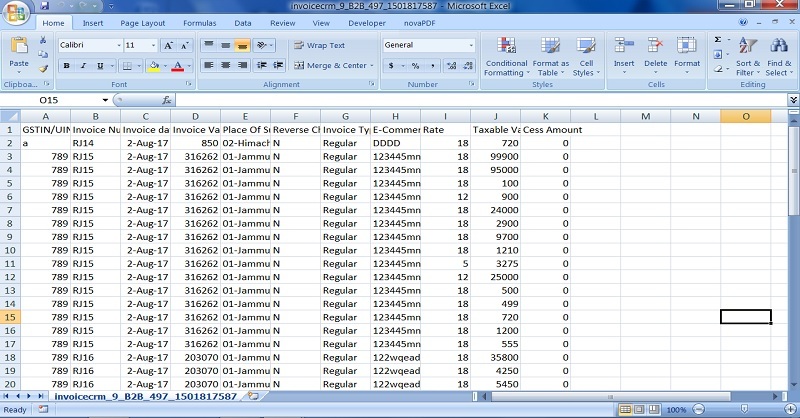 Issue your invoices in InvoiceCRM and transfer the data easily to Tally. 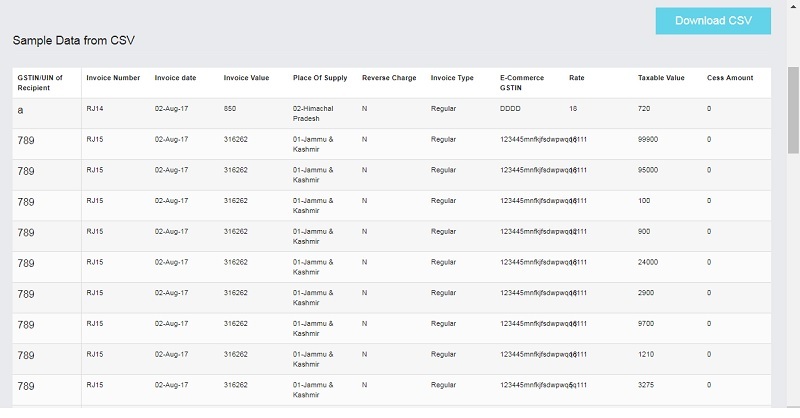 Click on Invoices Tab in the top bar, Generate the report for required dates by clicking on search button. The system will display the required data. You will have 2 buttons just below the Search panel. Select the second option a file will download the file and upload it to Tally. For the first time, you need to consult Tally customer care for assistance. We offered our software to some of the best tax consultants and chartered accountants and here is what they say about us. Really easy and time-saving product for everyone. 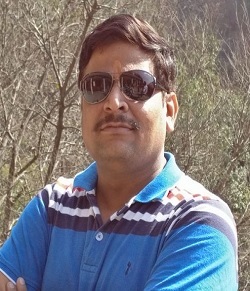 Creating invoices with InvoiceCRM has made our and our client’s work tension free. The team of InvoiceCRM is efficient and focused on easing the work load of its clients. Highly recommended. Using InvoiceCRM for my own company. Simple interface. Time-saving. Prompt and active support team. The best part of this software which urged me to buy is getting the CSV file ready at the end of the month for your sales data. No need to believe in what others say. You can checkout the demo yourself here. Everything for one simple price of Rs 2499/year. Upon completion of payment, your personal login details for the complete InvoiceCRM software will be emailed to you. Under any circumstances, if you don’t want to be using software, let us know within 7 days of your purchase and we will provide you a full refund without asking any questions. Still, if you wish to check out our demo, before making a purchase, you can do so here. If you have any further queries please get in touch with us here form. We will be more than happy to assist you. We tried all GST solutions available in the market and they are so complex that you can’t get it up and running without talking to a technician. We are from technical background and still it iss tough for us. So think how tough it will be for a customer. Even if we take the pain to understand the software, it only provides a GST ready invoice and don’t do the GSTR return filing. ExcelDataPro share accounting Excel templates for free and as GST rolled out, we had hundreds of our users requesting us to help them with GST. 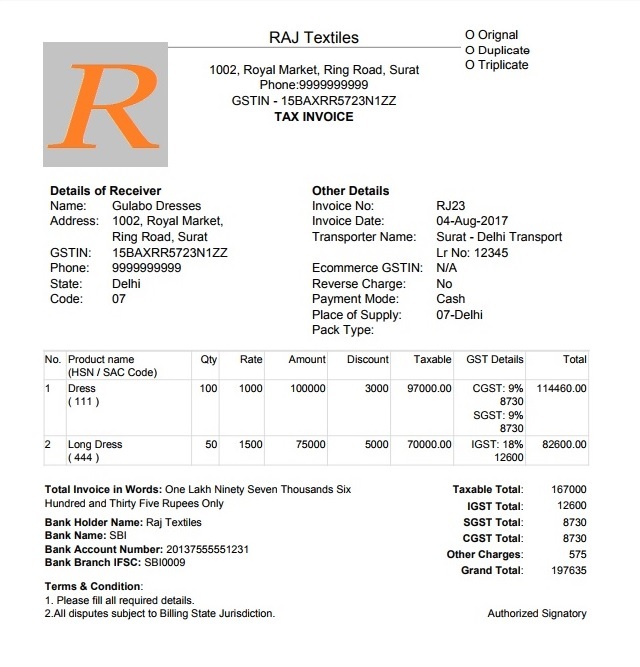 We created as many GST templates as possible in the short span of time for our reders but some of our customers were looking for a software as a solution instead of maintaining an excel file. This led us to try out all the available software in market so that we can refer them the right software. We paid thousands of Rupees just to try those software because we believe that if we are recommending, we should be confident of using it even for our own business. 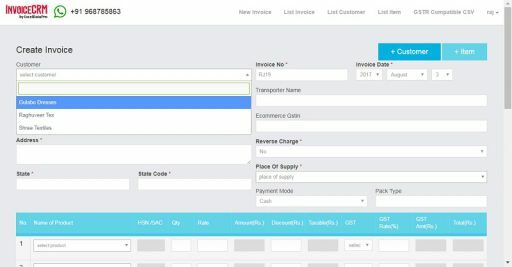 So, we decided to offer a super easy and super simple GST Invoicing software that can help you create your first invoice within minutes and file GSTR from the software itself. 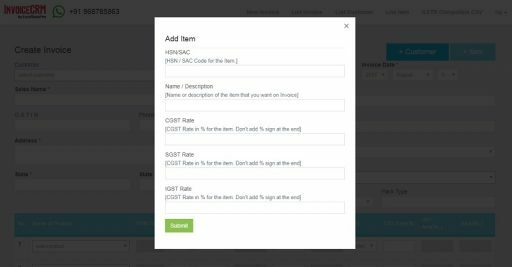 InvoiceCRM was launched – A simple invoicing software that files your GSTR return. 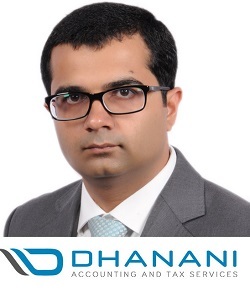 It is not yet another GST ready solution injected into the overly complex already existing software but it is possibly the only solution build for simplifying your life in the GST era.